Key Difference: Phonics is a method in which letters are associated with sounds. It is regarded as a very important part of teaching as the skill of reading. Phonetics refers to a branch of linguistics and it deals with the proper scientific study of sounds associated with human speech. Therefore, phonics can be regarded as a simplified form of phonetics. Phoneme refers to the smallest phonetic unit of sound in a language. It is capable of distinguishing meanings of words. The understanding of phonemes covers one aspect of phonological awareness. Phonics help in developing learners' phonemic awareness. 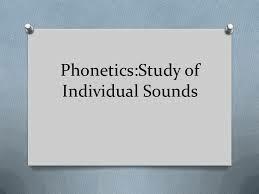 On the other hand, Phonetics focuses more on the attributes related to making, transmitting and perceiving of physical phenomenon which are used for creating speech sounds or signs. Phonics is a method in which letters are associated with sounds. It is regarded as a very important part of teaching the skill of reading. It helps young children to learn how to read. Children start recognizing the sound of each individual letter, and thus are able to develop their reading skills. Individual sounds are taught which are used for making words. For example, when the sounds associated with letters t, p and a are taught, the children can easily build up the word tap. Apart from teaching the sounds of individual letters, it also includes identification of sounds produced by combination of letters like ‘sh’ or ‘oo’. Phonics when taught in an organised and structured way, it leads to a very effective way of teaching young children to read. Acoustic Phonetics – it deals with examining the physical properties of sounds like frequency of vibrations, etc. Auditory Phonetics – it deals with studying that how human ear perceives sound or how they get recognized by the brain. Articulatory Phonetics – It deals with studying that how sounds get produced by various vocal apparatus. Phoneme refers to the smallest phonetic unit of sound in a language. It is capable to distinguish meanings of words. Phonemes are of great importance as if a phoneme is changed that there are chances of the word getting changed too. J in ‘judge’ and sh in ‘ship’ are consonant phonemes. Phonics is basically described as an instructional approach defining a relationship or association between letters and sounds; regarding which letter produces which type of sound. Phonetic is the scientific study of speech words. Thus, it is more broad and scientific than in comparison to Phonics. Phoneme is a contrastive unit in the sound system of a particular language, and is generally a part of both phonics and phonetics. 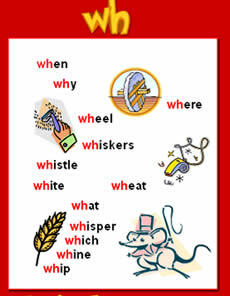 Phonics is a method in which letters are associated with sounds. It is regarded as important for teaching the skill of reading especially to young children. Phonetics refers to a branch of linguistics and it deals with the proper scientific study of sounds associated with human speech. Therefore, phonics can be regarded as a simplified form of phonetics. Phoneme refers to the smallest phonetic unit of sound in a language. It is capable of distinguishing meanings of words. Phonics can be learned by using sound letter cards. Phonetics is used in speech recognition where the analysis and transcription of recorded speech by a computer system. In English, i in 'bit' and o in ‘log’ is a vowel phoneme. Phonic instructions help in leaning a systematic and predictable association between letters and their spoken sounds. For example, in the word cat, we can hear three distinct phonemes /k/ /a/ /t/. If we change /k/ /a/ /t/ to /k/ /a/ /p/ the meaning of the word will change completely. Synthetic phonics deals with reading out and blending in reading. Study the production of speech sounds by means of lips, tongue, palate and vocal chords.